One of the biggest challenges on becoming an architect is MONEY! But do know that there are many scholarships available to you as a high school student, current architecture student, or even recent graduate. Below are just a handful. Truly, the best search is AIA Scholarship to learn if a local chapter of the AIA provides scholarships or Scholarship for Architecture Students. Maybe you chose architecture because you want to design a better world. Or you can’t imagine doing anything else. One thing’s for certain: You love this work. And we’d love to help fund your college experience with a multiyear scholarship, up to $20,000. The Diversity Advancement Scholarship was created to help more minority students pursue a successful career in architecture. Multiple scholarships are available. Apply online starting October 25, 2017. The deadline for applications is January 17, 2018, 11:59pm Eastern. American Institute of Architecture Students (AIAS) – thanks to AIAS for collecting many of the scholarships available to architecture students in a single location; the list includes both national and regional scholarships as well as fellowships. AIA Chapters — One of the best sources of scholarships/monies is an AIA Chapter. Clicking AIA Chapters will allow you to search for the chapter near you. But note that sometimes a scholarship is for an individual in the locale of the chapter. For example, the AIA West Virginia provides a scholarship even though there are no architecture programs in West Virginia. Below are just a few — there are a lot more if you search. Architecture Programs — Also, if you are currently a student in an architecture program, be sure to inquire about scholarships for students. For some, you may need to apply; for others, you may be considered by virtue of being a student. 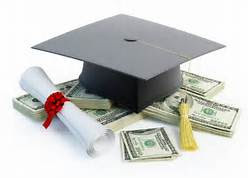 Of course, if you are applying to an architecture program, inquire about scholarships and awards for incoming students. At the graduate level, this may also include teaching assistantships. There are monies available but you must reach out and search and ask.